Total has started up production on Kaombo Sul, the second Floating Production Storage and Offloading (FPSO) unit of the Kaombo project, located on Block 32, 260 kilometers off the coast of Luanda, in water depths ranging from 1,400 to 2,000 meters. 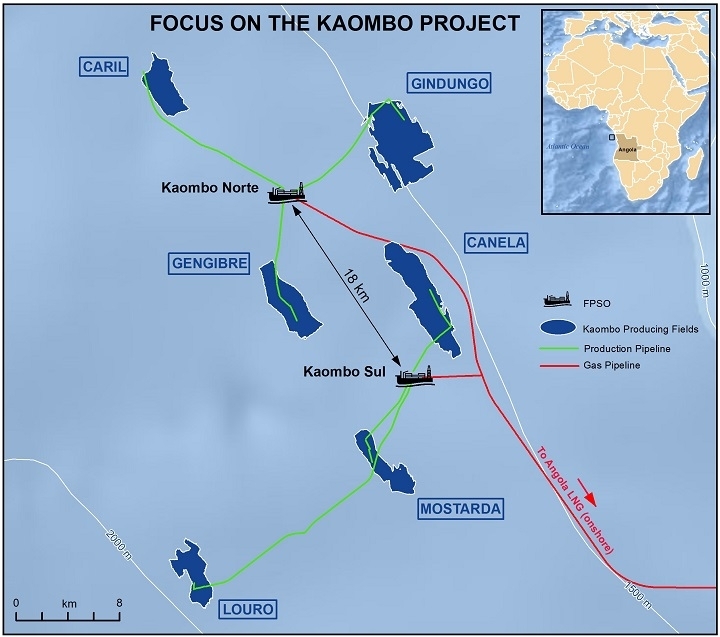 Eight months after its sister ship, Kaombo Norte, came on stream, Kaombo Sul will add 115,000 barrels of oil per day (bopd) and bring the overall production capacity to 230,000 bopd, equivalent to 15% of the country’s production. The associated gas from Kaombo Sul will be exported to the Angola LNG plant, as part of the Group’s commitment to stop routine flaring. Present in Angola since 1953, Total is the country's leading oil operator. Total's production averaged 211,000 barrels of oil equivalent per day in 2018 from Blocks 0, 14, 14K, 17, and 32, as well as Angola LNG.